If you’re thinking of getting started with beekeeping, but don’t even know what you don’t know, then this is the guide for you. Beekeeping can be a satisfying hobby for several reasons. Some really enjoy the process of creating their own bee colony then watching it grow and flourish. Just as a gardener enjoys watching their plants transform from tiny seeds. Others get a kick out of earning some extra profit from a hobby, as opposed to pouring money into their hobbies. With organic, small-batch honey growing in popularity, there’s never been a better time to get into beekeeping if you’re looking for a hobby that allows you to generate some side income as well. Another group of people really find it satisfying that they can help out the environment while pursuing their hobbies. Bees are a vital part of our ecosystem and if they’re under threat then all our crops are at risk, so by keeping your own bees you’re giving the environment a helping hand. At Flowers Across Australia we’re all about flowers so we have a vested interest in keeping Australia’s flora as safe as possible, which is why we’re delighted to present this guide to you. Regardless of your motivations for getting into beekeeping, you’ll find this is a great starting point for learning about the process from beginning to end. It’s not meant to be the only resource you’ll ever need, but we have found and linked to some extra resources towards the end of the guide if you decide that beekeeping is something you want to pursue. 1 Why are bees important? Most people learn that bees are pollinators early in life; you probably have an early memory of watching bees buzz around your backyard and hearing an explanation of why they’re collecting pollen from nearby plants and flowers. What you likely didn’t understand back then was how important this process is to each and every one of us. Of the most common hundred crops that make up 90% of what we eat, 71 of these require bees for pollination. And it’s not just people who eat fruits, veggies and grains who need to thank bees; crops eaten by livestock are also pollinated by bees, so regardless of your diet you would be pretty hungry pretty quickly without bees. Small birds and mammals also live off plants, so we’re not the only ones who have a vested interest in keeping bees numerous and healthy. That said, it’s not as if bees exist just to help us out; they benefit from the process as well. Bees need flowers for food and the flowers need bees to reproduce, so both parties benefit from the relationship. Bees fly to flowers and in the process they get covered in pollen. Before a bee flies back to its hive it typically flies to several flowers (something you’ll see evidenced if you ever spend a little bit of time watching this process in person) and it’s this that enables the plants to sexually reproduce. When a bee carrying pollen (the male part of the flower) lands on another flower, some of that pollen is deposited on the female parts of this next flower and reproduction is made possible. When you consider that an active bee hive may be made up of 80,000 bees, with a good number of them taking part in the pollination process daily, you can see how much work a single hive can do on its own, which makes the problems facing bees worldwide seriously worrying. If you understand the importance of the, mostly unseen, role bees play in our lives you should also understand how serious a problem it would be if the bees suddenly disappeared. While this isn’t likely to happen any time soon, there have been some worrying trends over the last decade that have got knowledgeable people more than a little scared. That some colonies collapse is not news to anyone; the first documented case of colony collapse disorder was in 1869. Even the most experienced beekeepers lose colonies from time to time and this has been happening since bees were first domesticated thousands of years ago. However, when colonies start to die at higher rates and the rate only seems to increase, that can be a signal that is too strong to ignore. Starting in around 2006, beekeepers in the US began to notice rates that were double the norm. As more beekeepers reported similar findings, investigations were undertaken to figure out the cause of this disorder. Initial findings suggested that the main culprit was the varroa mite, a parasitic mite that only reproduces in beehives. 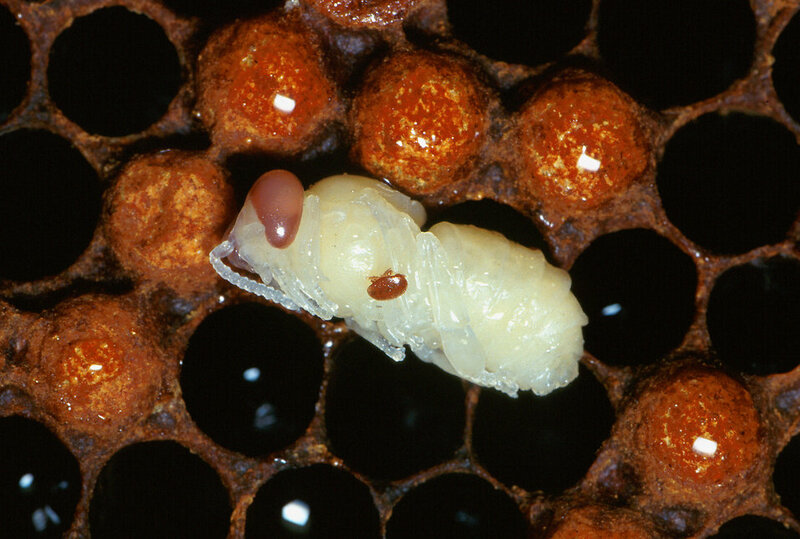 The varroa mite latches onto bees and survives by sucking on the blood of the bee. They carry a variety of diseases and during the feeding process can transmit viruses to the host bee. These viruses make bees less effective at doing their job and when a critical mass of bees are unable to function as they normally would, the colony is at risk for collapse. Unfortunately for the worldwide bee population, the varroa mite has spread to every corner of the globe, except Australia. Because of our remoteness and strict quarantine regulations, Australian beekeepers have remained free of the worry of the varroa mite. And while the varroa mite is still thought to be a main culprit in the worldwide colony collapse disorder, the fact that colonies in Australia have also suffered suggests that there’s more to the disorder than meets the eye. Fortunately, new research is beginning to shed light on what is going on and suggests that the problem is more complex than originally thought. 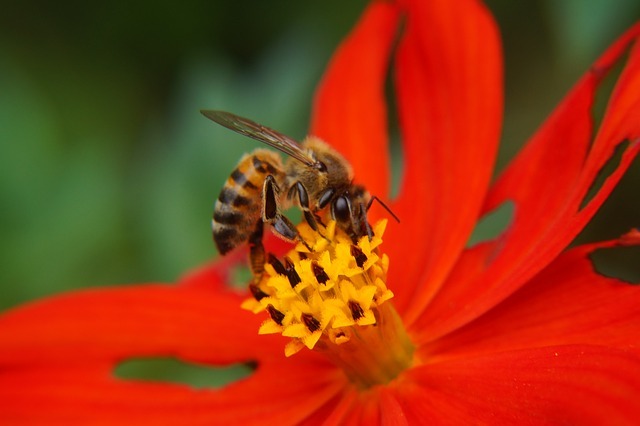 To understand the arguments put forth by researchers it’s important that you understand that a bee has a pretty tough job; they have to fly long distances, successfully find and harvest pollen from flowers, then navigate their way back to their hive. This is both cognitively and physically demanding for a bee and anything that adds additional stress to their day can stop the bee from successfully returning home. If this happens to enough bees, then the colony will eventually die out. While stressors like varroa mites can be enough to do this on their own, it’s thought that several “sub-lethal” stressors are also acting together to bring about colony collapse disorder. The causes of these sub-lethal stressors are thought to arise because of modern agricultural and industrial practices. Certain types of pesticides called neonicotinoids harm bees and have been banned in the EU. In the US a debate is going on to decide whether to ban these pesticides or not, while in Australia there is little talk of banning them. Certain classes of fungicides have also been shown to make bee populations more vulnerable to disease. Climate change is also having a negative effect on bees because it is making them work harder to collect the same amount of pollen that they used to. All this may sound dark and gloomy if you’re a fan of bees, but by beekeeping yourself you can help reverse this trend. Scientists are uncovering more every day about combatting colony collapse disorder, but ultimately the health of Australia’s bee population depends on beekeepers. By cultivating your own colony and helping it thrive, you can counteract the effect of colony collapse disorder and ensure that the bee population in Australia is healthy. As important as beekeeping is, because there exists potential for harm and nuisance, there are a set of rules and regulations that you must abide by if you want to keep your own bees in NSW. Similar regulations exists in all other states and territories and you’ll find links to all the relevant bodies in the additional resources section towards the end of this guide. The first thing you need to do is register your hive with the Department of Primary Industries. This will cost you $100 if you’re registering as a business entity, or $60 if you’re registering for recreational purposes. Once you have registered you will be given a registration number that you must display on all of your hives. Click here to register with the Department of Primary Industries. As a beekeeper, you are responsible for your hives. You need to monitor the hives for disease and if there are any signs of disease then you are responsible for reporting this to the authorities, who will then inspect the hive. You also need to ensure that your bees are not disturbing your neighbours. If your neighbours file a complaint, you may be required to move your bees to somewhere where they cannot bother anyone. Other responsibilities include recording the movement of your hives and showing these records to inspectors upon request. To prevent widespread disease, inspectors need to know where to find all the hives in the state so they can inspect them at will whenever it suits them. This means that you also need to notify the DPI of the sale or disposal of any hives within 21 days. And because you are required to allow the inspection of your hives, your hives must be inspectable; that means that you must use hives that have movable frames so that the hive can be easily inspected. Finally, if you want to move interstate and take your hives with you, you need to check with the relevant authorities (linked to in the additional resources section) because not all states allow hives from all other states. All of these regulations are quite easy to follow and if you’re serious about keeping bees then you won’t find them much of a hindrance. With bees being an important part of the ecosystem, you can understand why the government needs to be diligent about beekeepers keeping a high standard. Before we jump into the nitty gritty of beekeeping it’s important to have a basic understanding of how bees work. If you’re already familiar with bees and how their colonies work, feel free to skip this section, but if you don’t know the difference between worker bees and drones, or the process by which a new queen rules over a colony, then read on. Bees are flying insects known for pollination and feed on the nectar and pollen of flowers. Despite the common image of bees living in hives as part of a large colony, many species of bees are actually solitary. It’s not surprising that you don’t know about all the different sorts of bees because the ones we know of add up to almost 20,000. That said, the one we’re going to focus on in this article (and the one you’re probably most familiar with) is the European honey bee. This species does live in a hive with lots of other bees and within the colony exist a few different castes of bee; each with a different role to play in the survival of the colony. Worker bees are the ones we’re most familiar with because they’re the ones who leave the hive and fly from flower to flower gathering pollen. They also do a lot of the work inside the hive such as building the comb. If a hive is threatened, it’s the worker bees who go on the attack. A hive can range from 10,000 bees to 60,000 and beyond and the worker bees make up the majority of the bees within a colony. 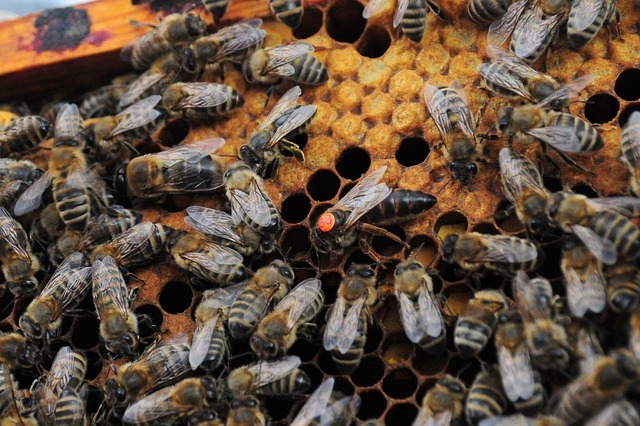 Drones are slightly larger than worker bees, but are smaller than the queen. They do little work themselves and are fed by the efforts of the worker bees. Their main job is to mate with the queen and make more bees for the hive. Before you become envious of their lifestyle, however, realise that there are several hundred drones in a colony and most of them never get to mate with the queen. The few that do die right afterwards and the remainder live out the rest of their lives (about three months) presumably playing computer games in the basement of the hive. Colonies also reproduce and do so through swarming. When a colony reaches a certain size and has an abundance of food, a hive will create more queens. The old queen and many of the workers leave in a swarm and find a new location to create a new hive. Eventually these new queens begin to emerge from their cells and hold a Hunger Games style contest to see who will be the new queen of the hive. If one queen emerges before her sisters, she will kill them before they can emerge and challenge her themselves. This new queen must then begin the process of repopulating the hive. She lays unfertilised eggs that will turn into drones, but needs a mate to produce female workers. So once the drones have hatched, the queen takes “mating flights” out of the hive with several drones, then returns to the hive where she lays the fertilised eggs. Once the workers hatch they get to work and the cycle continues. If you’re thinking of getting into beekeeping then you probably want to know what you need to begin. We’ve broken it up into six main parts, each of which are necessary to get started with your new hobby. The first thing you’ll need is some know-how. 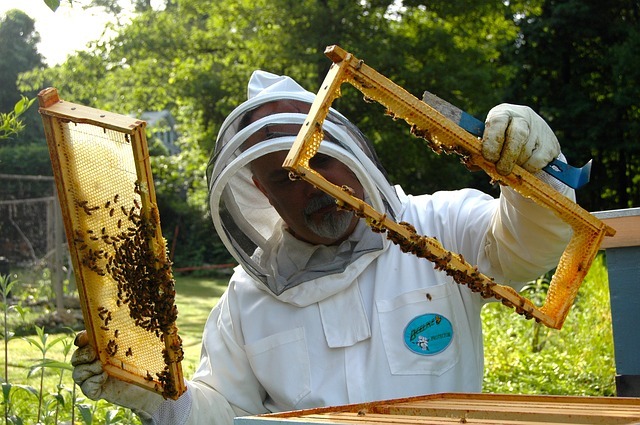 Beekeeping, like any hobby, requires a lot of specific knowledge in order to be successful. 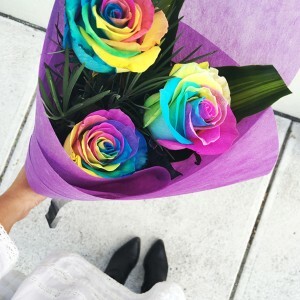 And since you’re dealing with living creatures that have the potential to harm you and others, developing this know how is particularly important. This guide should act as a good first step to get started and we’ve provided links to extra resources at the end of the guide to help you learn everything else that you’ll need to know. Second, you’ll need to have some time available to dedicate to beekeeping. While it’s not as time consuming as other hobbies, neither does it require as much time as many people believe. Getting your hive started obviously requires quite a lot of time; but once it’s up and running, you can probably get by with a minimum of a couple of hours per week of maintenance. Harvesting your honey at the end of the season is another activity that takes some time, but overall, if you have a few hours a week to spend on beekeeping then you probably have enough. Third, you’ll want to have the right amount of space for your hive. While having a large area to keep your hive in is a luxury, it’s not a necessity; many beekeepers successfully keep bees in regular sized backyards. The main problem with a small space isn’t that it bothers the bees, but your neighbours. You are required by law to move the hive if it bothers people living near you, so this is a consideration. If your neighbours are cranky and you have a poor relationship with them, they could make life hard for you. Keeping the hive as high as possible tends to alleviate some of these problems because the higher the bees are the less likely they are to bump into humans. Some neighbours will be far more receptive to your new hobby if they receive some fresh honey at the end of each season, so consider being generous with your honey once you’re done harvesting. Fourth, you’ll, unsurprisingly, need some bees. You can collect a swarm yourself or take over a second hand hive, but if you’re getting started, then buying some bees will be the easier way to go about it. We’ll cover where to get bees, what options are available to you and how much they will cost a little further on in the guide. Fifth, you will need a hive to keep these bees in. There are several options available and which option is best for you will be covered later in this guide. Getting your hands on a hive (or building your own if you’re handy) does incur some cost, but you cannot avoid it if you want to become a beekeeper. Sixth, you’ll need some special equipment to help you in your beekeeping activities. Some equipment is there to keep you safe, while others help you perform regular beekeeping tasks such as inspecting your hive. Again, this topic will have an entire section dedicated to it later in the guide. It would have been nice to be able to call this section “How to Avoid Being Stung By Bees”, but unfortunately, if you handle bees, sooner or later you’re going to get stung. Instead, this section will help you make stings a rarity rather than something that happens all the time. When it comes to bee stings, there’s some good news and some bad news; the good news is that for most people, a bee sting just involves some pain. According to people who have been stung frequently (I didn’t find out first hand), the first few stings are the worst and the pain becomes less severe over time. However, according to the American College of Allergy, Asthma & Immunology, approximately 3% of people will have a an allergic reaction to bee stings that can result in anaphylactic shock. This is why, if you’ve never been stung before, you should always be with someone when handling bees. Anaphylaxis is easy to treat, but it is life threatening. When trying to avoid being stung, the best approach is two pronged; first you need to keep the bees’ stress levels as low as possible so they don’t want to sting you. Second, wear the right equipment so that when some bees want to sting you (and this is unavoidable) they aren’t successful. Bees have evolved to be protective of their hive. This makes sense since they have natural predators and are more likely to survive if they are able to attack would be predators. The main predator of the honey bee is the bear (think Winnie the Pooh) and so bees have evolved to become very sensitive to signals that might indicate a bear is near. This is why all the bee suits you see are white. It has nothing to do with fashion and all to do with being a colour that is least offensive to bees. It is also why bee suits are made of smooth vinyl rather than something rough and furry. To reduce the likelihood of bee stings it’s also a really good idea to use a smoker. Before people started keeping bees themselves, bees lived mostly in trees. In order to avoid being burnt alive when the tree was on fire, bees would gorge themselves on their honey to prepare for moving to a new, safer location that wasn’t on fire. When bees are full of honey they’re less aggressive; think about how you feel after Christmas lunch. Click here for a good guide to using a smoker to keep bees placid. If you do all this then your bees will be less likely to sting you, but some will still go on the attack, so it’s important that you wear the right equipment to protect you for when they do. You’ll often see experienced beekeepers wearing nothing but a veil; this is not recommended as a beginner for two reasons. First, because you don’t have the experience to understand when bees are likely to sting and when they’re not. This is something that comes with time. Second, when you’re getting started, you want to be confident when handling bees. You don’t want to be full of anxiety and so worried about being stung that you can’t gain the experience you need. 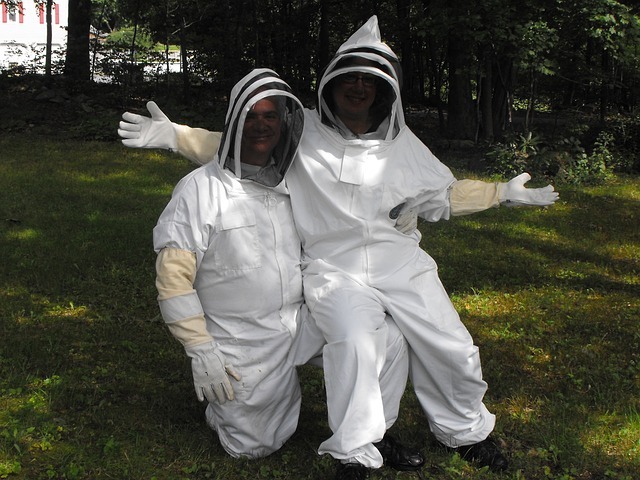 So when you’re new to beekeeping, you’ll want to wear full personal protective equipment (PPE). The first piece of kit you’ll want to use is the veil. Next, you’ll want to get your hands on a pair of gloves to prevent bees from flying up your sleeves. Finally, you will want to use a bee suit that stops the rest of your body from being stung. If you wear all your equipment consistently you should be able to reduce the number of stings to a minimum. Once you’ve decided to get started with beekeeping, one thing you’ll definitely need to get your hands on are some bees. Because this isn’t as simple as going to a store and picking them up whenever you want, it’s something to consider early in your journey. It’s easiest to get hold of some bees in Spring or early Summer. This time of year also makes it easy for the colony to build up and survive. It’s possible to do it at other times of the year, but when you’re getting started, it’s probably best to play it safe. It’s also a good idea to order your bees as early as possible. Because demand for bees tends to peak at around the same time every year, if you want to make it easy to get some bees and avoid missing out, then order a few months in advance. When ordering bees you have a few different options to choose from. The most common ways to purchase bees are in nucs (pronounced ‘nukes’) or packages. 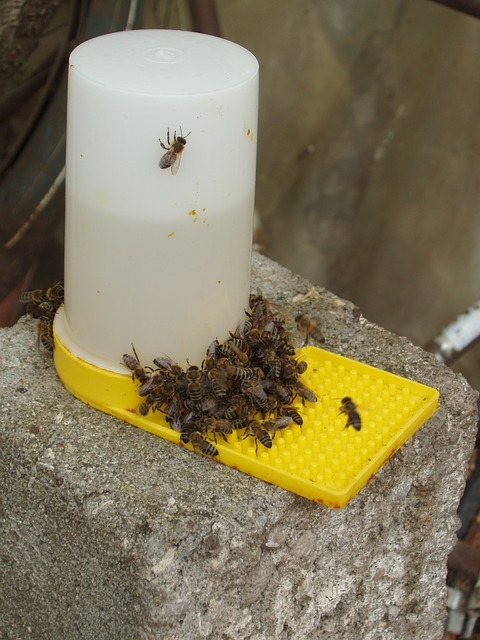 Some people take over old colonies, others try and trap wild swarms, but when you’re getting started you want to keep things simple and hassle free. 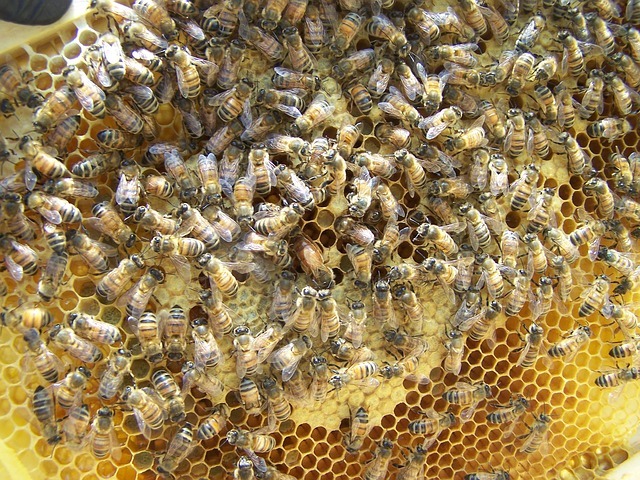 A nuc contains a queen along with some bees to kickstart your hive. They come in a temporary hive with frames inside and are an easier way of getting started since you’re ready to go. The downside is that they tend to be a little more expensive. Package bees are more straightforward; you just get a bunch of bees in a box. When you build a hive using package bees, it can take longer to get going because of the time it takes to build new comb and hatch new bees. 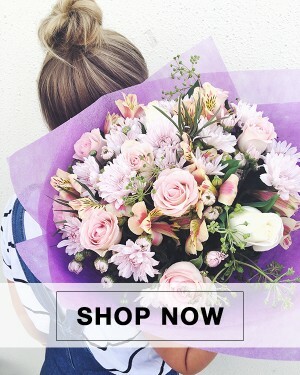 Where to buy bees in NSW? How much do bees cost? A nucleus will typically set you back $200-300, while package bees are cheaper, costing around $150 or so. Price differ from vendor to vendor of course and which option you should choose depends on your personal circumstances. If you want to do beekeeping on a budget, then package bees might be right, but if you want your life to be easier, then a nuc is probably the right choice for you. After you have organised some bees, you need to sort out a place for them to call home. 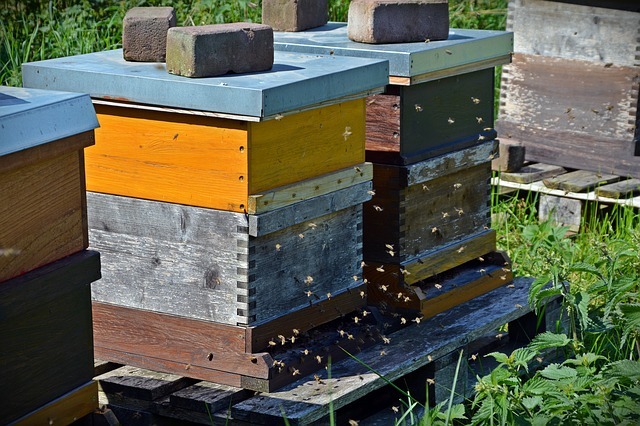 When it comes to selecting your hive there are several options to choose from, each with their own set of pros and cons. In this section we’ll walk you through some of the more popular ones and help you figure out which one is right for you. The Langstroth hive is the most common type of hive and it’s probably what comes to mind when you think of a bee hive. Frames slide into the hive and each frame has hexagonal wax moulds that the bees can then use to build their own comb on top of. The hive has a cover over the top and bees enter from a small gap in the bottom. One advantage to the Langstroth hive is that bees don’t need to build comb from scratch, which is handy because it takes 8 kilograms of honey to create 1 kilogram of wax. There are a couple of downsides to the Langstroth hive, however. First, it can be heavy when it comes time to harvest the honey. If you’re on the small side or not in great shape, this can make harvesting more work that it has to be. Second, you can’t see inside the hive unless you take it apart, so if you want to watch your bees do their thing you won’t be able to get much of a view with this sort of hive. Another sort of hive is the top bar. 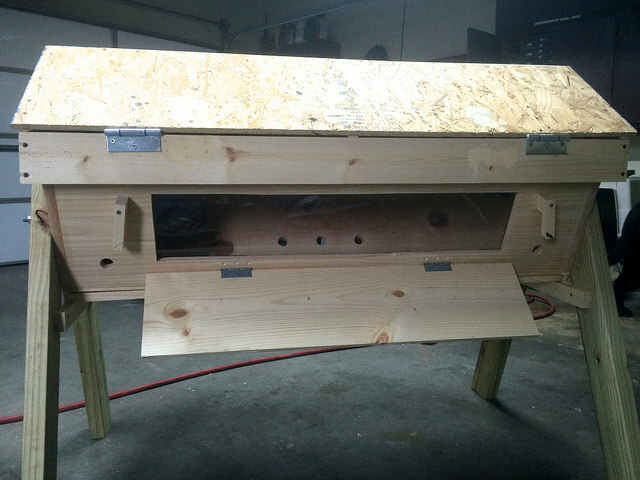 This type of hive consists of a trough with a bar sitting across the top. Bees begin to build comb from the top bar and work their way down. One advantage to this type of hive is that it doesn’t require any heavy lifting. The downsides are that it does require more frequent inspections and generally produces less honey than the Langstroth hive. 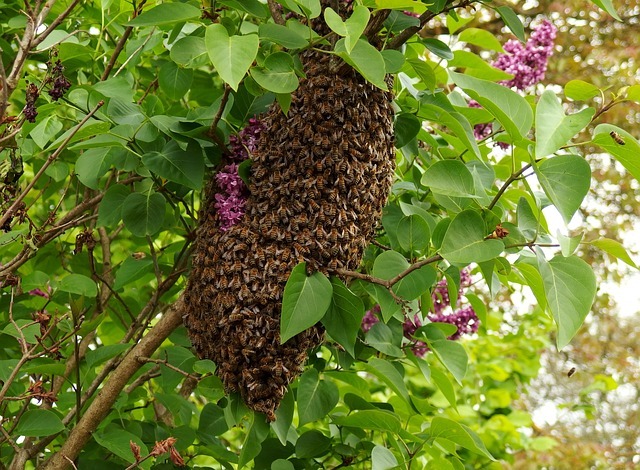 The third type of hive to consider is the Warre hive. This is somewhat of a compromise in design and because it’s more akin to a natural hive, it requires less maintenance. It also allows you to more easily see what’s going on inside the hive, so if you are curious then this is definitely a benefit. Warre hives can be some of the more expensive ones however, so your budget needs to be taken into account. There’s no hive that’s right for everyone, so it really depends on you and your personal preferences. If you’re still feeling a little unsure, the team over at Bee Built have come up with a handy graphic to help you figure out which hive is right for you. And just because we’ve listed the three most popular types of hives doesn’t mean that we’ve exhausted the different types of hives that exist. If you feel a little unconventional, feel free to research Beehaus, British Standard National or William Broughton-Carr hives. You never know, one of them might suit you more than the conventional types. Once your hive is up and running there are a few tasks you need to perform on a regular basis to ensure that your hive stays healthy. Your job as the beekeeper is to maintain the health of the hive, watch out for disease and prevent swarming. The end of Winter or beginning of Spring can be a tricky time for the hive. This is when the brood is expanding and the hive requires honey to meet the demands of the new members of the hive. If nectar flow slows down low enough, the colony could starve and die out. To prevent this from happening, some beekeepers feed their hives sugar water. The NSW Department of Primary Industries has created a great PDF guide that you can download for free. As the colony expands, you need to monitor its growth. If you feel that the colony is growing too fast, you may need to add a super to your hive to prevent the bees from swarming. You can learn more about how to do this with this guide. If you fail to add a super in time, the colony could swarm; leaving you with only half a colony left. 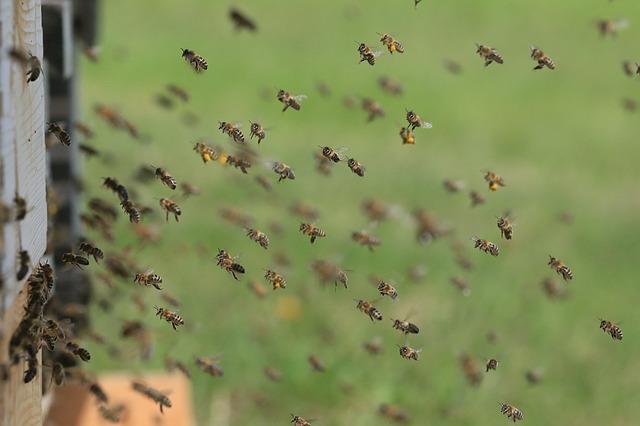 Swarming bees are a problem at the moment because many beekeepers are inexperienced and this is not only bad for you, but it can also cause quite the public hazard. As people in Sydney recently found out when a swarm latched onto a motorbike and formed a ‘giant cloud’ that was three stories high. To perform these tasks, you will need some special equipment called a hive tool. This allows you to more easily manipulate parts of the hive and do the tasks you need to do. There are a couple of different types of hive tools to use with the most common two being the hook-end and the American style. Either one will work for you, so it’s probably best to buy whichever one is easier to get your hands on, which in Australia tends to be the hook-end tool. Before you go and learn the specifics of how to harvest your own honey, it’s probably a good idea to set some expectations. The first year you harvest honey you probably shouldn’t expect too much. 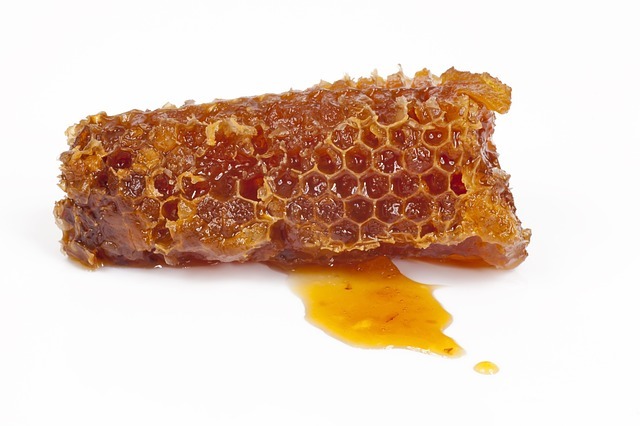 It takes bees eight kilograms of honey to build up one kilogram of wax, so the first honey they make will be used in the construction of the comb. Once your hive is more mature you can expect a healthy yield of honey. How much honey can you expect from one hive? It varies from hive to hive, but yields of around 30kg are around the norm. This will depend on a few factors such as the health of your hive, how many bees are in the colony and how easy it is for the bees to gather nectar in the area. How much can you expect to sell your honey for? Again, this has a lot to do with your own marketing skills, but raw honey is growing in demand right now so you can expect premium prices even if you’re not a marketing whiz. If you visit a local farmer’s market you’ll notice that honey there tends to sell for around $20-30 per kilo, which means that a year’s yield could be worth $600-900 to you. Not bad for doing something you actually enjoy! And of course, there’s nothing stopping you from adding extra hives as you become more experienced. Adding another hive is only marginally more work for double the output. This guide wasn’t designed to teach you everything you need to know about beekeeping. If you plan on getting into beekeeping then you’ll need to learn more than any online guide can provide, but it was our aim to provide you with a starting point for your journey. In this final section we’re giving you some links to additional resources that you should find helpful in learning more about beekeeping. The first link is to a really useful, 144 page guide on beekeeping put together by beekeeping expert Russell Goodman in conjunction with the Victorian Government. If you are keen to learn more about beekeeping, then this more detailed guide is a perfect next step. Before getting started with beekeeping, you’ll want to make sure that you understand all the rules and regulations of your state. You’ll find all states listed below. Joining a local association is also a great way to meet fellow beekeepers and learn more about the hobby. You can find links to relevant associations below. That’s all we’ve got for you on how to get started with beekeeping. If there are any questions you’d like to see answered, leave them in the comments section below and we’ll add the answers as time permits. We plan on updating this guide as feedback comes in, so don’t be shy! Hopefully this guide has inspired you to become a beekeeper, but if it has made you realise that beekeeping is not for you, but you still want to help the bees, we have a couple of guides to help you decide which flowers are the best to attract bees and which herbs and flowers bees love (for people with limited space). Thanks for the extra tips Diana, I probably wouldn’t have thought of deodorant until it was too late! Hi, I read this article like there was no tomorrow. It was both educational and very interesting for someone like me who has only been researching beekeeping for a few days. I would only suggest thought that up in Brisbane our farmers markets are asking between $10 and $15 per kg and indeed we have been getting local honey at around the $6 per kg mark direct from a keeper. So be aware that the money you make at a farmers market apparently varies greatly depending where you are.